Gold Coast, Australia — After Byron Bay, we kept driving north along Australia’s east coast. We had opportunities to make stops at various scenic beaches along the way, but I, unfortunately, had no chance to train. After a few days of sleeping and camping in our lovely van, we reached the Gold Coast. 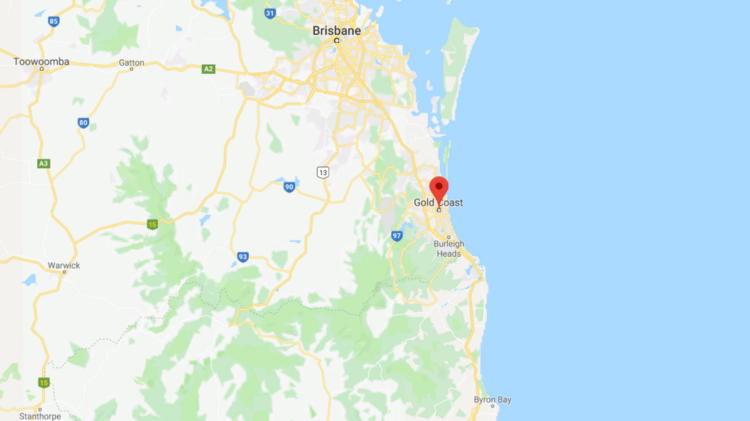 It was the first metropolitan city since Sydney, and, of course, my first google search was “Brazilin Jiu-Jitsu Gold Coast.” This led me to Galeb Brothers Brazilian Jiu-Jitsu. Located 80 km south of Brisbane, the Gold Coast is a city in Queensland renowned for its pristine beaches that stretch for almost 60 km. Combining its high-rise skyline with a subtropical climate and epic surfing beaches, the Gold Coast is regarded as an iconic holiday destination in Australia. In addition to its beaches, the city is equally famed for its theme parks and nightlife that attract high-school graduates on schoolies and families on vacations. Shopping malls, golf courses, white sandy beaches — the city has it all. Galeb Brothers Brazilian Jiu-Jitsu is headed by Professor Fabio Galeb who is a third-degree black belt and a former professional MMA fighter. After moving to Australia in 2007, the professor competed in BJJ and MMA to establish his competition records in Australia. Although he is still regularly competing in Brazilian Jiu-Jitsu, his focus has shifted to coaching for UFC fighters such as Mark Hunt and Michael Bisping. 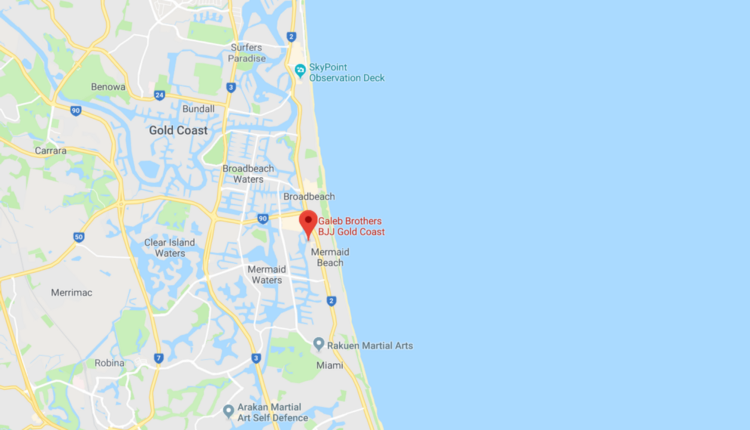 The Academy is located near Mermaid Beach, which is about 8 km south of Surfers Paradise. Luckily, I was able to drive my lovely van/current home to the gym. Though the gym seemed close, the Gold Coast’s notorious traffic made the drive longer than expected. Prior to my arrival, I called and received a welcoming response from the gym. They also offered the possibility of renting a gi, which is tremendously helpful when you are traveling and staying in a hostel. Since it was a low season for the Gold Coast, the majority of students were regular rather than visitors. I can only speculate that, during the summer times, the academy is filled with BJJ Globetrotters from all around the world. Just what I expected from a beach town, everyone I interacted with at the academy was extremely friendly. Due to a long drive along Australia’s coastline, my body was stiff, and it was quite challenging to get back into training. That said, the Galeb Brothers BJJ community created a welcoming atmosphere for me. During training, I had the opportunity to share my traveling stories and interact with students; I immediately felt included in the community although I was just visiting for one day. The class consisted of intensive conditioning and drilling followed by a positional sparring and rolling. The intensity and level of the academy were notable as multiple students regularly competed. It is easy to fall into the trap of partying and procrastinating in such a city like the Gold Coast. 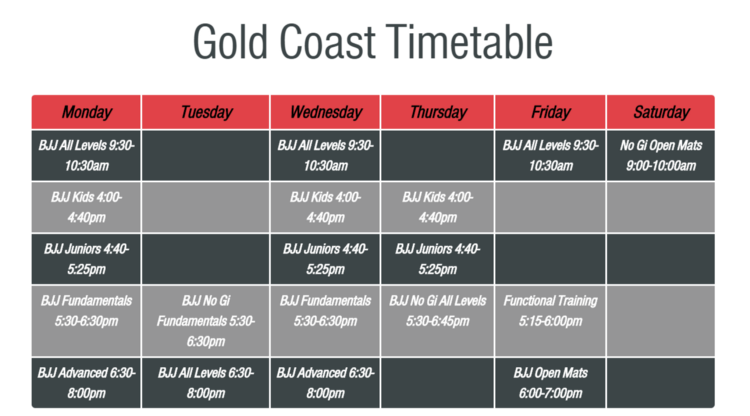 Whether you are enjoying the sunshine all day on Broad Beach or having a night out near Surfers Paradise, I would recommend visiting Galeb Brothers Brazilian Jiu-Jitsu if you are in the Gold Coast. Don’t miss out on a top-notch training in this restless city! Currumbin Wildlife Sanctuary — The sanctuary is one of the most popular tourist destinations in the Gold Coast. The very origins of the park were to conserve Australia’s indigenous and extraordinary wildlife from Koala to wombats. With exciting shows and hands-on encounters with Australia’s wildlife, the sanctuary provides you with a unique experience. Plus, I got to hold a Koala and pet Kangaroos here so why wouldn’t you go here? Beaches in Gold Coast — From Surfers Paradise, one of the busiest and most popular beaches on the Gold Coast, to Burleigh Beach that is renowned for its spectacular surfing breaks, the Gold Coast has countless beaches that you can choose from. Besides its white sandy beaches, the proximity to the nearby shopping and dining options provides a unique experience to your vacation. 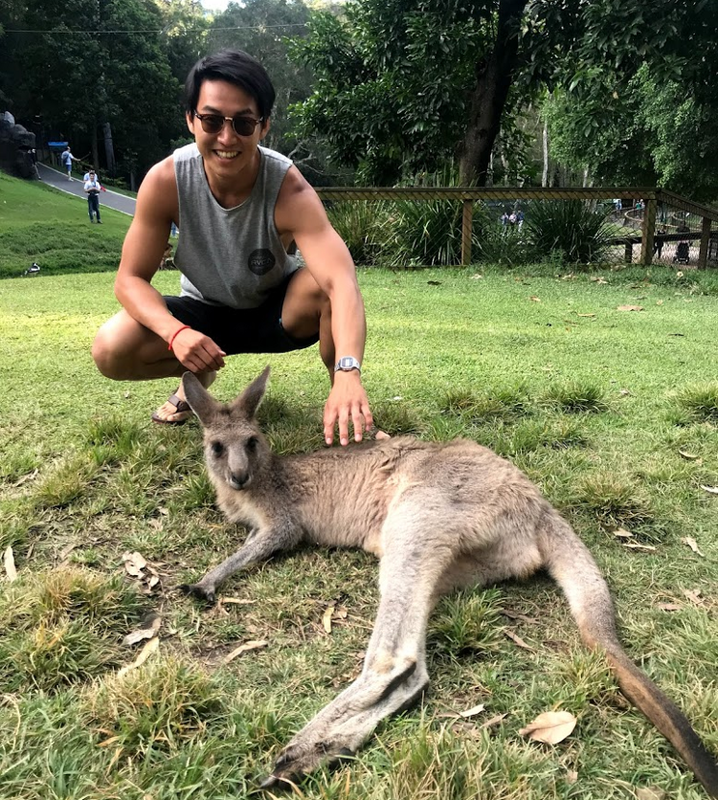 Other tourist attractions — From its popular SkyPoint Observation Deck to Dreamworld theme park, my friend and I deliberately chose to skip some tourist attractions as our priority was to spend time by the beach and relax. It would not hurt to check out what the city has to offer.